SPONSOR SALE. PARK VIEW. 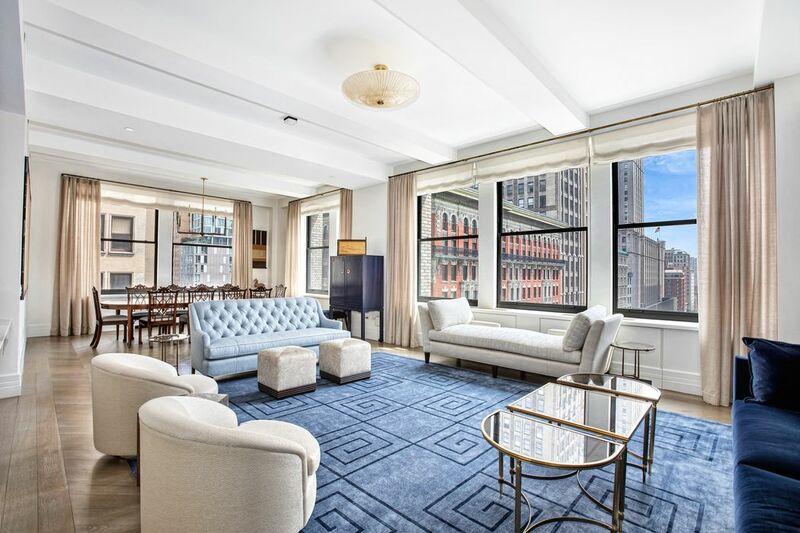 Ready for immediate occupancy, 212 Fifth Avenue is touted as "the city's most powerful address" and the finest boutique luxury condominium on Madison Square Park. Framed with spectacular views of Madison Square Park from oversized windows, this 3-bedroom, 3.5 bath residence harmonizes contemporary living with classic prewar design. The creation of Pembrooke & Ives and architect David Helpern, the residence offers a carefully crafted floorplan, high ceilings and numerous gallery walls. The foyer – complete with coffered ceilings and bookmatched slabs of marble -- is the classic focal point from which every room radiates. The kitchen, dining and living spaces take on a loft-like, open floor plan and provide a stunning vista of Madison Square Park and its surrounding historic buildings. The result is a celebration of space and light. The bedroom suites are kept intentionally separate for privacy in a classic configuration and feature upgraded custom closets. Only the finest quality materials coupled with the best craftsmanship were chosen for 212 Fifth Avenue, including 4-inch thick Calacatta marble countertops, milled wood cabinets and top-of-the-line Gaggenau appliances in the kitchen. The master bathroom features radiant-heated Thassos stone floors, fluted Carrara marble walls, solid surface Lacava tub and Waterworks fixtures. Solid hardwood floors are in an oversized version of the stylish Chevron pattern throughout. A Savant home automation system is ready for expansion and controls multiple HVAC system zones, window shades and lobby-connected security.